Whether you're a djing amateur or professional, Djay 2 version 2.2.8 gives you the tools you need to rock that party or perform live right from your android device. 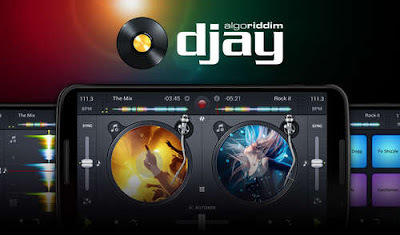 Mix from Spotify or your own music library to make the perfect songs and soundtracks, this app can even work on auto-pilot with the automix feature..
For screenshots and other details go the the Play Store. Install the apk file, place obb folder to sdcard Android/obb , and mix you music!